What’s not changing in sports journalism Although the interview data suggest a number of significant changes to how sports journalists do their jobs, it would be incorrect to say that the entire profession is changing. In fact, the interviews suggest that there are aspects of the job that are not changing despite the emergence of digital and social media. Last week’s series noted the changes to sports journalists’ day-to-day work routines, one routine that hasn’t changed is the daily deadline. The data suggest that the daily deadline remains the defining difference between newspaper journalism and online journalism. The sports journalists interviewed said that no matter how digitally oriented their organization is, there was still a daily deadline they had to meet – usually between 10:30 p.m. and midnight. That is a constraint they operate under that online sports journalists and bloggers do not have, because they are not bound by a print production. The lack of a deadline means online journalists can spend more time reporting and writing after a game to file a story that can be posted overnight, rather than hitting a midnight deadline, or they can post a story the next afternoon. Writers for blogs like Deadspin and Bleacher Report have a similar work structure. Bloggers for these sites can post whenever they want, be it immediately after a game or long after it ends. But newspaper sports journalists still must produce a story by deadline. No matter how digitally oriented their work is, they still must have their stories done on time, and they still must produce pages and send them to the presses on time. All 12 reporters interviewed self-identified by the beats they covered (including the columnists, who identify as such). The beat is how a reporter defines his or her professional identity. It shapes how they see themselves, and how they see their professional world. All 25 journalists, both reporters and editors, said that their paper had some sort of beat structure. The interviews show that the beat system is an ingrained part of the profession, echoing Fishman’s finding about news journalism and suggesting an institutionalized aspect of the profession. Reporters are responsible for covering their beat the same way a news reporter is responsible for covering city hall or the police beat. 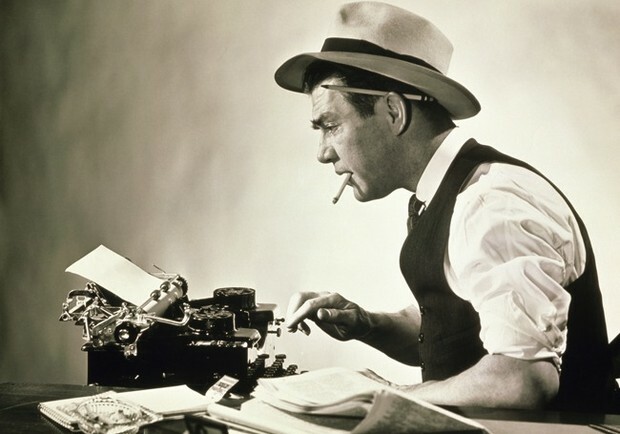 As Fishman found decades ago with news reporters, sports journalists are expected to provide daily coverage of their beat regardless of how much or how little is going on. A reporter can’t attend a game and not file a story because he or she found the game uninteresting, or because the home team lost. The norm of sports journalism is to provide daily coverage, win or lose. That is a norm that remains a part of the profession. In general, news values in the digital and social age appear to be very similar to those of the print era. Sports journalism is often defined through game coverage. A sports department’s schedule still mirrors the local sports teams’ game schedules. Much in the way a crime reporter’s day revolves around the court schedule or a political writer’s work day revolves around the many meetings of government agencies, a sports journalist’s schedule revolves around the games on his or her beat. If there are no games going on in the area, it’s considered a slow night, no matter what else might be happening in the sports world. Game coverage tends to revolve around the so-called major sports—football, basketball, baseball, and hockey. Pro and college football tend to be the most popular sports, as defined by sports journalists and editors. Within high school sports, football was the most popular sport at every newspaper interviewed. Story selection echoes what Lowes found in his ethnography of a Canadian newspaper’s sports section. Sports coverage tends to focus on mainstream team sports, nearly all of which are male. Coverage of women’s sports has increased, but it is still not at the level of men’s sports and it was one of the first casualties of the industry’s economic struggles. With the exception of high-school girl’s sports, women’s sports coverage exists on a lower tier of importance than coverage of men’s sports. Editors held niche and individual sports like running, hunting and fishing in low esteem. They were seen as section filler, not as legitimate sports worthy of sustained coverage. The sports journalists interviewed indicated that they are generally writing the same types of stories, interviewing the same kinds of sources, gathering the same kinds of information, as they were in the pre-digital world. This finding echoes Chris Anderson, who found that many of the essential acts of journalism have not changed in the digital era. Story judgment reflected the news values traditionally found in news stories—deviance, proximity, timeliness, and impact. Of these, the interviews make it seem that proximity matters most. Reporters and editors focus their energy on covering local sports, whether local is defined by geographic proximity or by the interest of fans in the area. The interview data suggest that decisions about story selection are almost second nature and automatic to reporters and editors. The decisions are product of training and experience, and an example of what organizational sociologists call normative isomorphism, the notion of a shared set of norms, values, and practices that cut across individual organizations and a part of a profession. Those norms and values do not appear to be widely changing in the digital age. Story judgment and source selection is an example of institutionalism]) and reflects the idea of tacit knowledge. Reporters may not be able to say why they do something (one writer likened it to muscle memory), but they just know it’s the way they do things. Stories and columns tend to focus on games and feature primarily the voices of star players and coaches. A coach’s voice will almost always appear in a story, as will a star player. For game coverage, reporters will interview the coach and any players who had a key role in the game, and often that is the star player. Again, this echoes previous research that sports journalism is star-focused. These source-journalist relationships are generally positive, and the source-journalist relationship is central to journalism. The data in this study show that the centrality of the sports-journalist relationship is also central to sports journalism. Access to coaches, players, team officials and other sources is seen as crucial, which is why the reporters and editors interviewed were so upset about the shrinking access teams were providing to the media. The routine is changing, in the form of less access, but the norm and value remains the same, in that access is considered a critical part of a sports journalist’s job. Teams are able to act as publishers through their own official websites, and players and coaches can communicate directly with fans via social media, which reduces the incentive for players to cooperate with media (beyond league-mandated regulations) and leads to reduced access for reporters. The issue of access appears to be one of the central conflicts facing sports journalists in the digital age. Their professional norms and values still require access to sources, but the routine is changing in the form of limited access. Rather than the routine reflecting the norm or value, the evolving routine is now in conflict with the norm/value. The interviews also reinforce the notion of normalization. When confronted with new publishing technologies like blogs and social media, journalists tend to adapt the technology to existing norms, routines, values, and practices rather than changing their work practices to best fit the new media platform. This is happening in sports journalism. Sports journalists are using digital media as an extension of their traditional professional work rather than creating new kinds of journalism. They’re using established journalism values and ethics in their use of digital media. Normalization reflects how the sports journalists’ routines are changing but the underlying norms and practices remain the same. Sports journalists using Twitter as a part of their job reflects a changing routine, but normalizing it — as the name suggests — reflects the relatively stable norms and values. The idea of norms and values not changing at the same rate as routines is important because it may explain why sports journalism (and, by extension, all journalism) has struggled so much with the transition to the digital and social worlds. When it comes to traditional journalism, sports reporters and editors know what they’re supposed to do. They know what traditional journalism is supposed to look like. They’ve learned by doing throughout the years, from established principals and from established practitioners—schools, older reporters, an internship system. But in online journalism, there are no established, institutionalized norms for how to conduct online journalism. There are no norms and values that have been passed on through generations of reporters on busy Friday nights. The interview data suggest this lack of institutionalized norms in online journalism (compared to print journalism) is creating a sort of knowledge vacuum in sports journalism, where reporters and editors fill in the blanks with their own opinions of what should be done based on existing norms, rather than examining what would be the best use of new platforms and technologies. In a sense, the established norms and values of sports journalism potentially constrain the profession from moving forward. It’s potentially easy to view the Internet’s impact on sports journalism as what sociologists call a competence- destroying technology, one that has totally rendered the previous order as obsolete and completely changed the paradigm in which sports reporters and editors operate. But the interviews paint a more nuanced picture. The interviews suggest the basic acts of journalism are not changing. Reporters are still reporting. Editors are still assigning, budgeting and editing stories. Much of the content, many of the decisions, are the same or similar to previous generations. There is evolution — reporters and editors both said they are looking for game stories to be more analysis than recap, but game coverage itself remains an essential act of sports journalism. As such, looking at the Internet as either strictly a competence-enhancing or competence-destroying technology to sports journalism does not provide a full understanding. Here, it is important to make a distinction between sports journalism as a profession and sports journalism as an industry. It appears that digital media has been a competence-destroying technology for the journalism industry as a whole. The number of jobs that have been lost, the losses of advertising and circulation revenue, are all indicative of an industry that is in the middle of an upheaval. The interviews with sports journalists reflect this, as a number reporters and editors had had their jobs affected by layoffs at their paper. Digital media is fundamentally changing how news is published and consumed. It’s making everything that came before it obsolete—one of the hallmarks of a competence-destroying technology. But as the interview data show, it has not had the same effect on the profession of sports journalism. Although the jobs of sports editor and sports reporter are evolving due to digital media, the interviews do not show drastic changes in the profession. Sports journalists are still covering many of the same stories and using many of the same sources as they were in the pre-digital era. This is not the sign of a competence- destroying technology, in which the previous order is rendered obsolete by the new technology. It’s also not the sign of a competence-enhancing technology, because digital and social journalism is not an obvious, order-of-magnitude improvement on print. The existence of an ongoing conversation and debate about the effectiveness of digital journalism demonstrates that it is not a competence-enhancing technology (in which the improvement would be so clear, there’d be no debate). Digital media’s effect on sports journalism as a profession is a little more nebulous than its effect on the industry of sports media. That distinction is important to consider. Digital media may be competence-destroying for the sports media industry, but not for sports journalism itself. Interviews with sports journalists paint the picture of a profession at a crossroads. That split gets at the heart of the future of sports journalism, and it raises a number of issues. The stream could potentially best serve the readers by presenting them with real-time information — or it could be a disservice because it assumes that readers are as connected to the Internet as journalists, or that the information may not be properly fact-checked. Journalists could live in the stream and provide real-time news updates, but if that information already exists in the stream from other sources, it’s possible journalists could be more valuable focusing on stories, rather than being one more voice in the stream. Everyone knows who won the game, they don’t need sports journalists to tell them that. Perhaps the future of sports journalism lies in differentiating between information that can be aggregated from other sources (scores, stats, etc.) and news that can be reported by the paper’s staffers. The real value in sports journalists could be in their ability to contextualize and analyze results, either through traditional reporting (interviewing sources) or new methods (statistical analysis). The job of a journalist could evolve from being an observer and reporter into more of an interpreter and analyzer (the Nate Silver model for The New York Times and 538.com). It is, of course, far too early to tell where sports journalism will end up, what the new norms, values and routines will be in the future. However, the data do suggest some possibilities about the future of sports journalism. It’s unlikely print will stage a complete renaissance. The trends over the past two decades clearly show that print is in decline, and digital is on the rise. It’s hard to imagine a future, say, 30 years from now, when newspapers have any significant print presence. That would simply go against all the trends in circulation. The work routines of sports journalists are already beginning to reflect this. In time, the norms and values should begin to reflect this as well. This includes moving away from the idea that a newspaper is the one and only source of news and information in a community but is instead part of a larger network that includes other media outlets as well as fans using social media. The assertion from ae mid-sized paper’s sports editor, to his reporters that tweeting a game’s final score is the most important thing they’ll do tonight, reflects this old value. The final score of a game is important, but fans can get that from the school or team itself. Sports journalists should focus on what one editor called “unique local content,” whether this is analysis, feature stories or in-depth coverage of local sports. Also, the reliance on access to official sources of information is a norm that could evolve in the digital age. If fans can get press releases emailed to them from their favorite teams and follow their favorite players on Twitter and Instagram, then access to those sources is no longer “unique local content.” The practices of Bleacher Report and Deadspin are potentially instructive here. They do not rely on access. In fact, they thrive by producing content that doesn’t rely at all on having to interview sources or even be at games. They are analyzing games statistically or producing screen captures and GIFs of memorable plays in real time. In the short term, these practices may be instructive to sports journalists. Finding new ways to tell the story of a game or to cover an athlete — using digital sports journalism as a template — are potentially more worthwhile uses of sports journalists' time and energy in the digital age than writing a sidebar or a notebook. Perhaps the future of sports journalism lies more in mobile technology, with smartphones that continue to become an important way readers get news. Perhaps, looking forward, sports journalism will live on mobile devices. There could be different levels of mobile subscriptions – a fan watching a game on TV has different information needs than someone who is at the game, and both have different needs than somebody who’s not able to watch at all. News organizations could have context-specific mobile notifications. Fans not watching the game get score updates, fans who are watching the game could get more news-driven updates, or invitations to join in fan chats on Twitter or online. Perhaps this future also includes the use of geolocation news, in which mobile phone users are able to receive relevant news and information updates based on their physical location, as detected by their smartphone. This could be accomplished through the news organizations themselves or a third-party. Again, the specific technology or use is less important long-term than the value of thinking outside of the traditional norms and values of newspaper sports journalism. Regardless of how it happens, the numbers indicate that the trend in digital news is mobile. More than half of Americans own either a smartphone or a tablet, and two-thirds of those users get news on their mobile device (Pew, 2012). To remain relevant in this digital age, newspaper sports journalism as a profession will have to find ways to take advantage of mobile journalism beyond simple breaking news alerts. Although this study has focused on sports journalism, its implications can help researchers understand and study news journalism, as well. Digital and social media have brought sports journalism out of the night shift and more into the daytime. This means that the practices of sports journalists and news journalists are becoming more intertwined. Also, as stated previously, the work sports journalists do is not very different than the work news reporters do. Sports journalists are covering events, cultivating sources, and using social media to interact with readers and keep up with the news the same way that their colleagues on the news desk are. The specifics of their jobs may be different, but the underlying challenges to institutionalized journalism appear to be the same whether looking at the sports department or the news department. One thing that was worth noting in interviews was that reporters seemed to view “the fans” as sort of a monolith. There was little to no differentiation to levels of fandom, whether or not a reader was a die-hard or casual fan. In fact, the interviews seemed to indicate that the journalists assumed fans were die-hard, that they were all watching the game or already knew the final score of the game. That attitude seems to shape sports journalists’ beliefs in how the job should evolve. The evolution of game stories toward the more analytical has its roots in the belief that fans can get the basic information about a game elsewhere, that the best service a newspaper can provide is analysis, opinion, and information not available anywhere else. Granted, the way sports journalists interact with fans could perhaps be a result of the reporters and editors catering to the loudest and most devoted fans. The fans who care the most will demand a level of coverage that goes beyond the final score. But it’s worth noting that the sports journalists’ default attitude assumes a fan has watched the game. An analysis piece about the Yankees’ hitting woes is of little value to someone who doesn’t know if the team won or lost. On the whole, the journalists I’ve interviewed — particularly reporters — seemed to view fan interaction in a bit of a negative light. At best, it was seen as a necessary evil, the price of doing business in this digital age. At least two reporters viewed fans with an attitude that fell just short of contempt. Others viewed fan interaction as more of a nuisance, or just another task they had to do. Digital and social media platforms have empowered fans. They are now able to connect directly with reporters, express their own opinions, and question reporters’ assertions and decisions. There was a sense in at least some of the interviews that journalists felt their professional expertise was threatened by the level of reader interaction they had to tolerate. There are two potential reasons for this attitude toward fans. One is that sports journalists and fans are coming at sports from different perspectives. Fans—especially die-hard fans, the ones who are willing to follow and engage sports journalists on Twitter—can heavily identify with their favorite teams. Their teams’ successes are their successes. Their teams’ failures are their failures. They are highly invested in the teams’ successes. Sports journalists come at this from a different perspective, one of professional objectivity and neutrality. The journalists interviewed pointed out that they didn’t care who won or lost the games they covered. They were rooting for the story, for something compelling to happen that would make for a good story (or, at the very least, they were rooting for a fast game and talkative players, to make their jobs easier). Several reporters expressed frustration with fans, because they (the reporters) felt that fans expected them to be cheerleaders for the team, or to not write negative stories. Another change involving fan interaction is how journalists are using online metrics. The interviews I conducted showed that editors are aware of what kinds of stories are popular online, when during the day they are popular, and on what platforms the stories are being read (desktop, tablet, mobile). This information is influencing story selection, in that editors are shifting coverage to reflect the audience’s online behavior and desires. The changes in coverage were seen in how a college football reporter, and her editor I interviewed said they covered recruiting more because the online metrics show that those stories are extremely popular. This was seen in how a metropolitan sports editor, changed her paper’s coverage philosophy to one that put more emphasis on high school sports than local college sports (the opposite of the previous routine) after the metrics showed that high school sports coverage received far more hits. Along with changing the routines (what sports are covered and how they are covered), this also reflects one of the norms and values in sports journalism that does appear to be changing. Coverage appears to becoming more and more focused on specific areas that metrics show to be popular among readers. This is an example of the symbiotic relationship between norms and values and routines. The routines of the individual journalists are changing, reflecting a change in the norms and values of the organization. It’s not to say that sports journalists didn’t consider the readers in the pre-digital age. Sports journalism began in large part because it was content that was popular among readers and drove up circulation numbers. It’s just that now, journalists have concrete data showing what stories are popular and what readers are actually looking at online. The use of metrics in story selection is also part of the journalism-as-process model in action, with audience discussion fueling news judgment as much as news judgment fueling audience discussion. Also, as indicated in a number of interviews I conducted with both reporters and editors, metrics are also being used as a means to evaluate a reporter’s performance. The use of metrics in story coverage and selection decisions suggests a new news value for sports journalism—audience popularity—that may sit alongside deviance, proximity, impact, and timeliness . The audience has been considered a news value, but metrics give this news value a degree of certainty and granularity it lacked before. The idea of what people are talking about moves from a vague journalistic sixth sense into something tangible and analytic. Digital and social media have not just changed the day-to-day routines for sports journalists. They have raised the expectations the journalists are facing as well. The interviews suggest a profession in which journalists feel they are always on the clock, always glued to technology in some capacity so that they don’t miss news—reflecting Alfred Hermida’s notion of ambient journalism, in which news is always happening, always being updated, and always a part of the online environment. These pressures, the data suggest, are coming from within the news organization. Reporters I’ve spoke about the expectations their editors have for them for publishing news online, being active on social media. At times, it was explicit. Two reporters said they knew they were being evaluated in part on their digital output, and another said that he knew if he didn’t post something online after his team’s practice, he’d get a phone call from editors. At times, it was implicit. This general understanding is that this is how the job is supposed to be done now. The interview data suggest that the editors’ expectations come from higher up within the news organization (publishers, executive editors, etc. ), and that those expectations are coming as a reaction to the greater media world. The changes, then, are what Boczkowski would call reactive traits. Sports journalists are following the technological and social trends rather than leading them. The data also suggest that sports journalists are copying what they see as successful practices from within the profession, an example of what organization sociologists call mimetic isomorphism. In addition, digital and social media add a new layer to reporters’ work. Reporters have more autonomy in their work online, particularly on Twitter, than they do in their work for print. The autonomy means they are making decisions about what news to publish, when to publish it, and to what platform. These decisions suggest a new layer of the typification that Tuchman described a generation ago. In addition to the five levels of typification Tuchman found—hard news, soft news, breaking news, spot news, developing news—the interviews suggest that publication platform becomes a second kind of typification. What is the best combination of platform and content? Is the content best delivered in a 140-character tweet, is it more suited for a full-fledged feature story, or does it fall somewhere in between? Reporters and editors are asking themselves questions like this throughout their days. An example of this tendency was one reporter’s story he had recently written about the goaltender on the pro hockey team he covered. After interviewing the goalie in the locker room, he decided that what the goalie had said was newsworthy enough to post to Twitter. He posted two quotes from the interview to his Twitter feed. He then posted a blog entry based on his interview (with the audio of the interview embedded into the post), and then wrote a traditional story. This process is typical of the sports journalists interviewed. This new typification is part of journalism-as-process model in action, in that journalism is not a story or a one-time act in the digital age. It is an ongoing process. The interviews show that social media — Twitter in particular — are being used as a vehicle for brand building. Reporters are interacting directly with readers and posting news to Twitter in part to help build their own brands as an authority, as a place to get consistently updated news that readers care about. Several of the editors interviewed said they encouraged this thinking because a reporter who is branded as an expert on a beat will draw followers and readers to the news organization. One of the core conflicts in the interviews came from the practice of reporters breaking news on Twitter rather than on their newspaper’s website, which gets at the issue of branding, of who owns and gets credit for breaking news — the news organization, the reporter, or Twitter? Along with being a change to routines, this practice also suggests a new emerging value for sports journalists: the reporter as a branded expert. What's changed about sports journalism? More than anything else, digital media’s effect on sports journalism has been as an accelerant. Digital media have accelerated sports journalism the same way they have news-side journalism (Schmitz Weiss & Higgins Joyce, 2009). Reporters are doing more work than before, and they are being required to work faster. Digital media have made it possible for sports journalists to publish news updates around the clock, and are changing the basic model for reporting news. In the print era, that model could be described as “gather-sort-report.” Publishing a story came at the end of the cycle. The day’s work built to a story that was reported. Interviews I’ve conducted suggest that in the digital media age, that model is changing to “gather- report-sort.” Publication is now a part of the process, not the result of it. The presence of digital journalism outlets like ESPN.com and Yahoo! Sports has increased this pressure exponentially, primarily (it appears) among reporters covering professional and major college sports. The competition from digital outlets is incredibly strong, and many of the reporters I’ve interviewed said they struggled to keep up with the national digital reporters. Several reporters indicated that, as a result of digital and social media, their routine in breaking news was “tweet-blog-story” —where news is first posted to their own Twitter feeds, then posted to the newspaper’s website (either on a blog or on the website itself, something that varies from newspaper to newspaper) and then a story is written that runs both in print and online. This evolution from story to stream marks a drastic change from the work of sports journalists that Lowes, Boyle and others have found in their research, and a drastic change from the work patterns described by Vecsey, Walsh, Wilstien and others in their popular accounts of how they do their job as sports journalists. It also marks a change in how Fishman, Gans, Tuchman and others described the work of newspaper journalists. The interview I’ve conducted paint the picture of journalists who are constantly working, constantly reporting and publishing information. “On deadline” used to refer to the hour after the game ended and before a reporter’s story was due to the copy desk. Now, reporters are always on deadline. If, as an example, a player is missing a game due to injury, that used to become part of a reporter’s game story or notebook. Now, it is tweeted out immediately, and a brief story is posted online before the game even starts. This is the journalism-as-process model in action, in which sports journalism is centered on the ongoing exchange of information throughout the day rather than the story that will appear in the next morning’s paper. The extent to which these changes affect reporters or editors appears to be influenced by the organization they work for. The interviews also suggest that sports journalists are simply doing more in this digital age than they were previously. Reporters are producing different kinds of content — stories, blog posts, tweets, videos, podcasts, photos — and editors are editing copy, designing print pages, posting stories online, monitoring and updating social media. Reporters are also asked to cover more beats. Of the 12 full-time reporters interviewed, 10 of them considered themselves beat reporters (two were full-time columnists). Of the 10 beat reporters, five of them officially had more than one beat. Three of the 12 full-time editors also covered beats as reporters, and one person was the editor and lone full-time reporter for his department. These workloads are due to the constriction of sports departments, brought about by the economic collapse of the newspaper industry in the first decade of the 2000s. These factors — more work to do and smaller departments with which to do them — lead to and exacerbate the time crunch sports journalists feel they are facing. They feel they’re producing more content faster, but they wonder if the quality of that content is better, or even comparable, to what was produced in the pre-digital age. They’re also doing so in an environment in which they have less access to the official sources (coaches, players, team officials), all of whom are able to take to digital and social media and act as their own publishers. The shrinking access is considered a huge problem for sports journalists, reflecting the importance of official sources for sports journalism that previous research found, as well as the historically symbiotic relationship between the media and sports. Should I be teaching students how to write a game story? The students we’re teaching, their careers will be peaking in the 2030s-2040s. Hearing that line from Dr. Randy Bass of Georgetown University stopped me cold. Bass was the keynote speaker at the Blended Learning in the Liberal Arts conference at Bryn Mawr College, which I had the pleasure of attending and presenting at last week. While that’s only 12 years out, hearing the date 2030 still feels like the insane future. Like Jetsons-level future. It also strikes at the balancing act we face in teaching journalism. Our responsibility as educators is to prepare our students for their careers, not just for a job. That’s the core of my teaching philosophy. We need to teach our students to solve interesting problems, to think big and beyond themselves, to create the future of journalism. But at the same time, my kids need jobs now. They have bills to pay, student loans looming. Many of them are getting jobs at smaller media outlets to start, which may not value big thinking or may not have the luxury of creating the future because the present presents too many immediate challenges. In his talk, Bass discussed the need to balance higher education between the traditional, elite, selective model and the free-wheeling open online model touted by entrepreneurs. He said that a college’s main purpose has to recognize the growth of technology. “As machines get better at being machines, the primary purpose of higher education has to be helping humans get better at being human,” he said. Which, naturally, got me thinking about the game story. But hearing that quote about helping humans get better at being human got me thinking about how computer algorithms are able to write basic game stories. And it’s got me thinking - is spending nearly a fifth of the semester on writing game stories the best use of my students time? Is it preparing them for a job at the expense of their careers? Is it inadvertently teaching them to compete with machines instead of getting them be more human and to solve the interesting problems of sports journalism? Will gambling really change everything for sports media? At times, I can be a contrarian. Not in the willfully difficult Jason Whitlock way, but more in the “everyone is zigging, so I’m going to zag” kind of way. Like, when the Buffalo Bills took Josh Allen and fans started hating on the pick, I started to like it. (I try to unpack this a bit in an upcoming episode of The Other 51). So when the news broke earlier this week that the Supreme Court had ruled that sports gambling could be legalized on a state-by-state basis, and the flood of stories and takes hit the market that this was going to CHANGE EVERYTHING about sports, sports media and sports journalism, I hesitated a bit. I’m prepared to be wrong on this. I am prepared to be loud wrong on this. But I don’t see massive changes coming to sports, sports media and sports journalism. The main reason why is that there’s already so much interest in sports in this country. Is this going to bring more interest? Is legalized gambling going to bring new people to sports? I don’t think so. Are more people going to bet? At first, probably. There will be the novelty factor. The first time people can legally bet on a football Sunday, or on the NCAA Tournament will probably bring a huge wave of betting. But I feel like that will wear off. The people most likely to gamble a lot are already doing it through less-than-legal ways, so they’re going to doing the same thing — only in a regulated space. Because an awful lot of sports reporting is about to move from entertainment information — stuff you read because you enjoy it — to production information — stuff you read because you think it’ll help you make money. This, in a lot of ways, flies in the face of a lot of the trends we’ve been seeing in sports journalism. In the past few years, it feels like a not-insignificant number of news organizations have been moving away from the lineup-injury-roster news style of sports journalism. If they can’t beat ESPN on these stories, they don’t try. They’ve been moving toward more analysis pieces, features, longford. This is the bet The Athletic is making. I don’t know if I see local newspapers getting back into the utilitarian sports news space just because gambling’s legal. Will there be a thirst for that knowledge? Sure. But ESPN’s already doing it. Nothing’s changed in that regard. Like I said, I’m prepared to be wrong on this. But I don’t see the cataclysmic changes coming to sports media because of legalized gambling. It’s the first thing when you go to The Athletic’s home page before you subscribe. Much of the popular and trade press coverage of The Athletic has revolved around its business model, and rightfully so. But implicit in its marketing slogans is a promise of sorts. 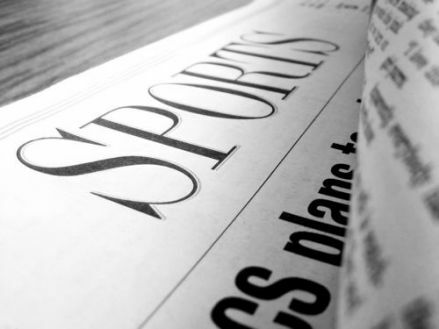 If The Athletic styles itself as the sports news organization that is making readers “fall in love with the sports page again,” it stands to reason that they will be offering something different from the sports pages of current newspapers. 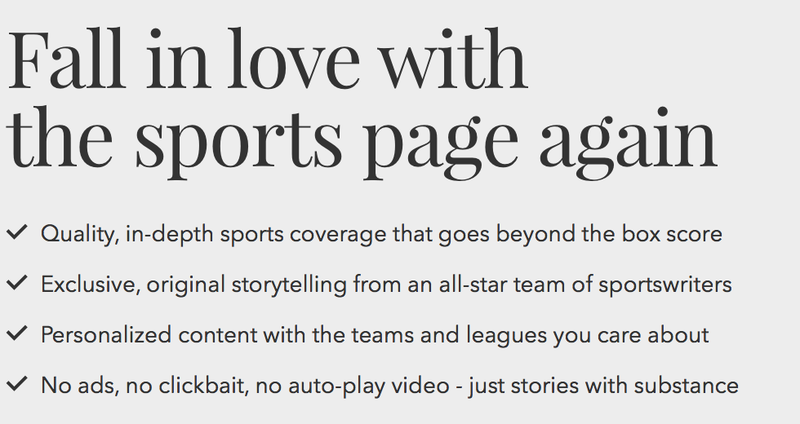 If The Athletic is asking people to subscribe in a market saturated with free content, it stands to reason they are offering something different than most newspaper sports sections. That’s what Dr. Galen Clavio] and I are attempting to address in our research on The Athletic. We presented findings of our exploratory study at the 11th Summit on Communication and Sport last week at Indiana University. The purpose of our study was to examine the content practices of sports journalism subscription sites and to see how they compare with notions of traditional sports journalism as practiced by newspaper reporters and other online news sites. Basically, we are looking at what types of stories are writers at The Athletic publishing? To do this, Galen and I studied 60 stories published on The Athletic’s three oldest U.S. sites — Chicago, Cleveland and Detroit — in March and April. With coding help from the brilliant Timothy Schoch and Morgan Gard, we looked at the types of stories published, the team covered, whether or not they had player quotes, coach quotes, and a dateline (the latter three items were our proxies for standard sports journalism practices). This is a pilot, explanatory study. That means this is our first pass through the data. It’s our chance to see what is there, give us an idea of the landscape and provide a basis for our future research. While we can come up with some ideas about what the data tell us, we’re not able to make any grand theoretical conclusions about The Athletic. We used a convenience sample. Due to timing, and a few other logistical issues (primarily The Athletic’s not-easily-searchable archive), we were limited to stories published in March and April. This made data collection easier, but also could affect the results. March is not a time when there are as many games happening as other times of year (we’d have preferred the fall), and since The Athletic has a lot invested in baseball coverage, the time of year could have an impact on the types of stories we saw. None of these are meant to detract from our work, but instead contextualize what we found. This is the start of our research, not the end. The stories we coded were about a variety of subjects. There were five stories about the Indians, seven league-wide stories but no other team had more than three stories about it. This does suggest a variety of coverage on The Athletic. In all, 65 percent of the stories we coded had quotes from coaches, 58 percent had quotes from players, and 61 percent had some kind of dateline (indicating the reporter was on site). This suggests that The Athletic does follow traditional journalistic practices, but not overwhelmingly. More than half of the stories in our sample were features and analysis. If you add in columns, then 70 percent of the stories we looked at in The Athletic were either column, features or analysis. The most noteworthy item: There were only three game stories — 5 percent of the sample. Again, this is an exploratory study. But the data suggests that The Athletic is providing a different content focus than traditional newspaper sports sections. It suggests that rather than replacing the traditional sports section, it is complementing it with features and analysis of games. In this respect, it may be useful to start thinking of The Athletic as less a replacement for daily sports pages and more as filling the void Sports Illustrated once dominated. To continue our work, we would like to expand our sample to have more robust data. We also would like to compare The Athletic directly to newspaper sports sections in the same cities — both at the same time and from a historical context - to get a better comparison between the two. One thing that came up during our research was the fact that there is no established theoretical typology of sports journalism. There is no set definition for what is a game story, a column, a notebook, an analysis piece (this last one is the most problematic, with an “I know it when I see it” definition). Going forward, one area of research would be to establish this typology and define what we mean by analysis in sports journalism. It’s always a wonderful conference. As The Ringer’s Bryan Curtis put it in our interview for The Other 51, this summit is to sports media people what the Final Four is to college basketball coaches and writers, or what the Combine is to NFL people. It’s a chance to see everyone in the field, to catch up, to trade ideas and see what’s trending. Here are five things I took away from this year’s conference. One of the conference’s highlights was a keynote panel with Mark Alesia and Tim Evans, the reporters from the Indianapolis Star who broke story on the decades of sexual abuse of girls by coaches in the USA Gymnastics program, including and eventually the Larry Nassar story. Without their work, they said, Nassar would probably still be coaching at Michigan State. Nassar wasn’t named in the first story, but that piece brought a tip that led them to Nassar. And all of these stories only came through dogged, tireless, old-school reporting. “USA Gymnastics fought us every step of the way,” Alesia said. The keynote panel, featuring Curtis, Kevin Blackistone of ESPN (and many other places), Erin Harvego of the Big Ten Network and my host Dr. Galen Clavio of Indiana, was dominated by discussions of eSports (competitive video games), Harvego noted that they are among the fast growing sports at the collegiate level, and that while many may not consider them sports in the traditional sense, they are popular and they are going to be a huge part of the sports world in the future. Clavio noted that eSports is a blank slate, which is something we haven’t seen in sports in nearly 100 years. The big-picture idea — we ignore eSports at our peril. One question was posed to Alesia and Evans — why did it take so long for the national media (both sports and news) to catch up to their story. Why wasn’t it until Nassar’s sentencing hearing, when woman after woman after woman bravely spoke about what he had done to them, that we started paying attention. Alesia and Evans had a theory about that. It was the emotion. They had spent so much of their work and their reporting nailing down the details of the story - what happened, when it happened, who it happened to, who had covered it up, etc. At the sentencing hearing, these women finally got to publicly share how these crimes had affected them emotionally, how it had affected their lives. It was a powerful example of how even in this age of data and information, emotion matters. The keynote panel, which was titled “Sports 2020,” also dealt with ESPN’s evolving role in the sports media landscape. As Blackistone said, ESPN has traditionally been a television company, but with the recent unveiling of ESPN+ and the revamped mobile app, ESPN can now be thought of as a screen company. But despite the fragmentation of the audience and the growth of mobile technology, Curtis noted that sports still exist in a network model. ESPN has Monday Night Football, ESPN+ has Ivy League sports. “The big events are still on networks,” Curtis said. The centerpiece of IACS, like any academic conference, is the wonderful research presented by scholars throughout the weekend. This year’s summit was no exception. One piece that stood out to me was a paper presented by Jeremy Shermak of the University of Texas about how high school sports reporters use social media as part of their jobs. In a survey of high school sports reporters, Shermak found that they use Twitter and Facebook in ways that are consistent with how reporters who cover high-level college and pro sports use those platforms. One interesting question going forward out of this is how do we classify recruiting coverage. Is it high-school sports, because that’s where they play? Or is it college, because it revolves around where they are going? 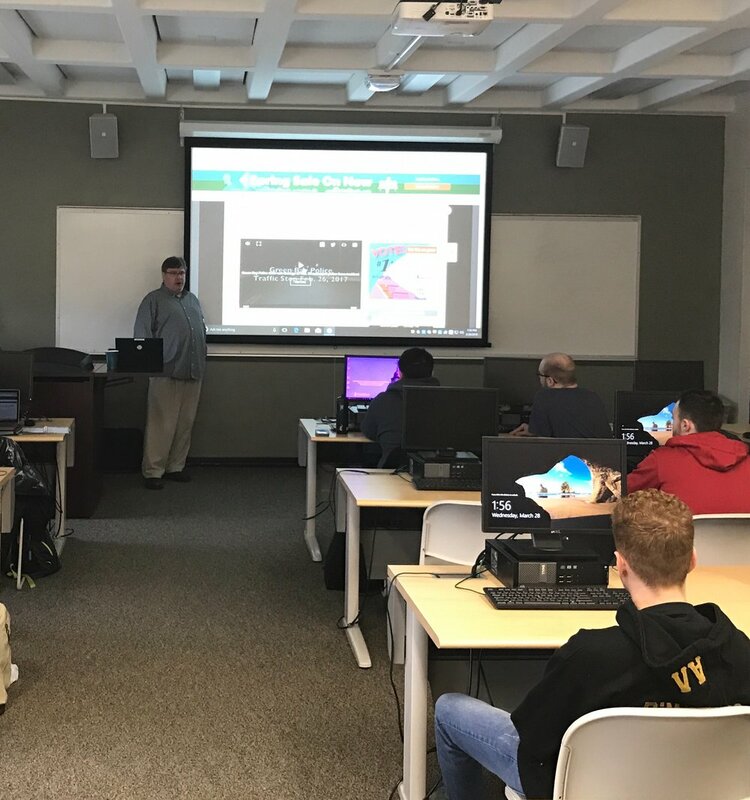 My sports writing and reporting students at SUNY Oswego are working on their final projects, in which they are supposed to write a longer-form enterprise story on an event, topic or issue that interests them. And to teach them a valuable lesson about feature writing, I tuned to Jason Isbell. The lesson here is not just the vividness of Isbell’s writing, his use of details or the simplicity of his language — although he’s among the best lyricists in music today. The lesson is what’s not in the song. There’s no answer. Isbell’s narrator in “Last of My Kind” doesn’t try to solve the problem, or make big proclamations about the state of the world, his place in or or about how to fix the world. The song is an observation of the faded pictures in his mind. This is a valuable tool for young writers. Too often, I’ve read stories where my students feel like they have to take a stand on the issue they are reporting. They feel like they have to take a side. Or they feel like their job is to present a solution to the issue they’re writing about. They feel compelled to offer a solution. That’s not often true. Just because you are writing a story about an issue doesn’t mean you have to solve it. Those solutions can feel forced and make the writing feel labored. It can also lead to bad reporting habits, where a young writer only looks for evidence that supports their point of view. Sometimes, the real power in reporting can come from simply observing a situation and writing what you observe in clean, clear, evocative language. SI’s news stories were never about telling you who won, it was about telling you why and how they won, the subtle differences that separated one world-class athlete or team from another, and the endless ways that people revealed their character through competition. Furthermore, what the magazine learned, again and again in the coming decades, was that a sports event being televised only increased interest in those stories. The more people saw of a sport, the more they wanted to read about it. And SI was there, to provide the best story, the deepest understanding, the telling picture, the last word. 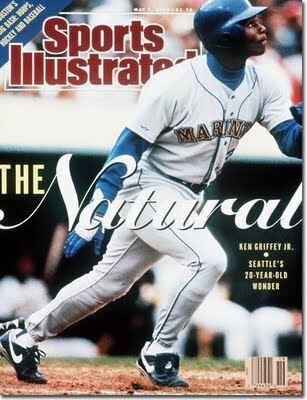 That, along with its role as gatekeeper and tastemaker—defining who and what was important in the world of sports—is what once made the magazine so indispensable. I have a larger piece in the works about the place of Sports Illustrated in the modern media landscape, one that touches on the economic factors of magazines and media and online journalism. But for today, I want to focus on MacCambridge’s quote and the general theme of his Ringer article. It’s impossible to understate just how important Sports Illustrated was to the generation of sports journalists to which I belonged. Thursdays were the best day, because the new issue was arriving. But, as MacCambridge’s piece pointed out, the magazine is dying and has been for nearly 30 years. Why is Sports Illustrated so important? Why, years after the print edition was relevant, does it still matter to so many of us? Why do we look at its demise with such sadness and nostalgia? One explanation — Sports Illustrated is a totem for sports journalism. It’s a symbolic structure. Sociologist Emile Durkheim defined a totem as an item in a civilization that carries supreme significance within that society. This is the idea inspired by a literal totem poles. A symbolic structure is similar, in that it is a structure that carries more symbolic than practical importance. An example would be a college library. In this digital age, a physical library building with books may not be the most efficient use of resources, due to the presence of digital search engines, the cost of maintenance and collections, etc. But virtually no college would get rid of its physical library because of its symbolic importance to the college experience. One example of this in the media world is a print newspaper. Think of the uproar, the hand-wringing, that occurs when a newspaper drastically reduces their print schedule. Even though print is an inefficient distribution model compared with digital, it still matters to a newsroom and a community when its print newspaper stops printing. For journalists, losing that daily newspaper has led to questions about their identity: Are they a newspaper? A website? A news organization? The notion of seeing print newspapers as a symbolic structure could potentially affect how reporters identify themselves and see themselves and the work they do. Again, professional identities that have been institutionalized and understood for generations may potentially no longer be as relevant in this digital age. The same could be said for Sports Illustrated. The print edition of Sports Illustrated is no longer vital in the sports journalism world. We have ESPN for scores and daily writing, we have local newspapers just a search bar away, we have The Ringer filling the space for feature writing. Increasingly, The Athletic is serving the role SI once did. But Sports Illustrated still matters. Why? In a large part, not because of what it actually is but because of what it represents. Because of what it was, because of what it meant to all of us. Because it was the vessel for all of our dreams and aspirations. Because Sports Illustrated is a symbolic structure. There was an important Twitter thread today from Gregory Lee Jr., the former President of the National Association of Black of Journalists. Thanks for holding us accountable Greg. We assure you that diversity is a priority for the company and we have been working closely with the NABJ to accelerate these efforts. • 91.5 percent of the sports editors were white. • 83.5 percent of the columnists were white. • 85 percent of the reporters were white. • 90.1 percent of the sports editors were men. • 87.6 percent of the columnists were men. • 87.4 percent of the reporters were men. This is an industry-wide problem. Sports journalism needs to become more diverse if it is going to survive and thrive. There’s a video clip I always show my students when we talk about diversity in journalism. It has nothing to do with journalism, or the news media. It’s about Saturday Night Live. he value of diversity is not that it’s the right thing to do (although it is). It’s not about checking a box, or righting historical wrongs. The value of diversity is you tell better stories. You serve your community better - your entire community. You expose your audience to different voices, to people who may not look like most of them, to new ideas and worldview. That is the heart of the open marketplace of ideas. SNL suffered from its lack of diversity not for a grand social reason, but because it was unable to do skits and make fun of Oprah Winfrey for years. It is impossible to be involved in media at any level in 2018 and not think of diversity. From the #MeToo movement, to the growing representation of women in action movies, to the way reporters cover the white supremacist movement emboldened by the 2016 election, to the protests before NFL games, diversity is at the center of what we do. As media producers, and indeed as media consumers at this very moment, we have enormous power and responsibility to seek out diverse opinions and diverse stories, that a key part of their jobs is to be respectful and to listen to underserved and misrepresented populations. That’s the challenge for The Athletic and all sports media. To become more diverse. Let’s start with the obvious — Sister Jean is awesome. This is not in doubt. She’s a fantastic character, a seemingly wonderful and charming person. She’s a fantastic story. She gives this Final Four a little bit of energy, a little juice. She gives Loyola-Chicago a storyline beyond being just an 11-seeded underdog. It’s a really fun story. But if I were an editor, I would not have wanted my reporters or columnist at her press conference today. If my students were covering the Final Four, I would have advised them to skip her press conference. The left is Sister Jean’s press conference. The room was full 15 minutes early. Reportedly, the crowd was out the door and into the hallway. What is the point of being in that room? From what I've read on Twitter, the two sessions did not overlap. Sister Jean's press conference came before the players' press conference. And while that's an important thing to remember, I think my larger point still stands. What is the point of being in that first room? That’s a serious question. What are you doing there? What kind of reporting are you able to do crammed shoulder to shoulder with every other reporter at the Final Four? What story are you getting that no one else is? What you are going to be able to write that makes you stand out from the crowd in that room. This is the value of zagging. When everyone else zigs, it can be really valuable to zag. To go the other direction. To go to the room where there are only a few reporters. If you’re the room on the right, with the players, you have a better chance of finding a good story. Something no one else is writing about. You can always get Sister Jean’s quotes from a quote sheet and write something up. You can always catch up to the pack, but you will never find anything interesting if you never stray from it. I get it - if your editor assigned you a story on Sister Jean, you do what you have to do. But it's worth keeping in mind that if when you are in a room with every other reporter at an event, you're not going to get a great story. You're not going to stand out. In my Sports Writing and Reporting class at SUNY Oswego this semester, I am very lucky to have a series of guest speakers coming to talk to students about various aspects of the profession. A few weeks, Will Leitch joined the class via Skype. Inexplicably, I didn’t write this up until now, but let’s ignore the fact that I’m late to the party and celebrate the fact that I showed up at all. This has been a constant refrain throughout Will’s career and his writing. He pointed out that fans are the one constant in sports. He’s famously a St. Louis Cardinals fan. He pointed out that in 30 years, all the players will be different, the manager and coaches will be different, but he will still be there. The fans will still be there. As sports journalists, we tend to have a dismissive view of fans. They’re the crazy people who flood out Twitter feeds and our comments sections with emotional rants and reactions. But the fans are the constant in sports. They love sports, and it’s important for us as sports journalists to remember that and not lose our love of sports. “If it ever becomes work, if I ever lose that love of sports, I’ve got a major problem,” Will said. This is an often overlooked part of the job, but Will stressed the importance of getting along with your editors. Will pointed out that he never misses deadline, his copy is always clean and on time and delivers what he promised it would. If you make your editors’ job easy, if you are not a problem for them, you will get more freedom and better assignments as a writer. Related to this - find an editor that you can trust, whom you know will have your back and make your work better. Know your audience One of the main themes that Doug consistently returned to throughout his conversations with students was their audience. Who was their audience? Who was reading their work? How many people were reading their work? How could they grow their audiences? As Doug pointed out, you could do the best job on the best investigative story of your life, but if nobody reads if, if it doesn’t reach an audience, it doesn’t matter. So it’s important for journalists and media members to keep their audiences in mind when producing work - and promoting it. Doug pointed out that when you share a story on social media matters as much as the content. In the morning, people are picking up their phones to find out what’s going on (a better time for hard news). In the evening, people are looking more to relax and unwind (a better time for a feature, or a fun story). Little things like that show how you can keep your audience in mind. Find the people in your stories One of Doug’s best skills, as a friend and colleague, is in helping flesh out story ideas. You come to him with a nugget of a thought, and he’s able to tease out a good story angle to chase down. We did this in all three of my classes on Wednesday, and the one theme that kept coming up was people. Find the people in your story. A story about a team, an organization, an entity, is not that exciting. A story about a person who is part of that team, organization or entity can be exciting. In any story, if you’re able to find the people — the stakeholders, who is hurt or helped by the topic — you’ll have a better story. Technology is your friend One student was trying to figure out how to interview a potential source who lived far away for a video project. Doug pointed out that if it’s possible, you could do a Skype interview and record that. You could see a light go off in students’ minds. We all carry around incredibly advanced technology every day. We can, and should, use it to our fullest potential as reporters. You’re not limited to your geographic area anymore for sources. You’re not limited to the photos and videos you can physically take. Technology is here, we should take advantage of it. Spoiler alert - there is no problem with women’s sports. 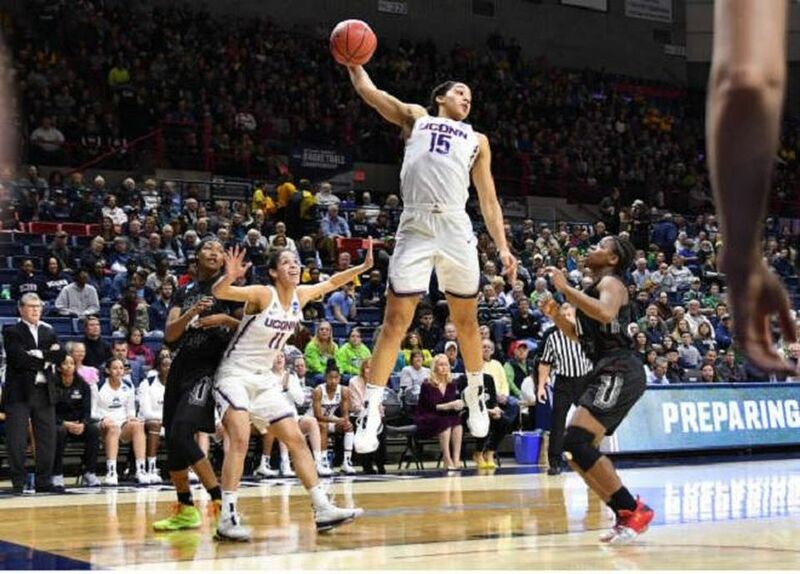 This all started a few weeks ago because the UConn women’s team is insanely good and won its first-round NCAA Tournament game by 88 points. This led a USA Today writer to opine that this was bad for women’s basketball, which in turn led a Forbes writer to say the real problem for women’s sports was the lack of women in sports media, which in turn led The Big Lead to point out that the real problem was that fewer people care about women’s sports (you will notice that all of these columns were written by men), which in turn led LaChina Robinson to create and sell a t-shirt promoting women’s sports. And on and on and on. It’s the same old argument every few years. And it obscures some of the bigger issues facing the coverage of women’s sports. Most news organization’s analytics probably do show that fewer people read stories about women’s sports than men’s sports. But that just brings about the endless chicken-egg debate — you don’t cover them because no one cares, but no one cares because there’s no coverage to drum up interest. It also brings up the economic chicken-and-egg — part of of a news organization’s mission is to tell interesting stories and cover things readers didn’t know about, but if those stories don’t generate reader interest, how can that news organization justify spending limited resources on covering them? There are too few women in sports media. That’s a fact. We as an industry need to be better about this. Period, point blank. We need to be better about all forms of diversity. But it’s wrong to think that increasing the number of women in sports media will automatically lead to more coverage of women’s sports. Are we talking about hiring women in positions of power? Are they sports editors, assignment editors? Are they able make the actual decision to send writers and journalist out to cover women’s sports? Are they putting together budgets that allow of that type of coverage? Are they standing up to editors and publishers who look at the analytics mentioned above and question the allocation of resources? If they are, great. But if they’re not, if they are reporters and writers and anchors and don’t have much say, nothing is going to change. The fact is, too often, women’s sports is treated in mainstream sports media as a curiosity. A sideshow. A heartwarming tale, an inspirational story, a talking point, a way to prove oneself as being woke by pointing out that Harvard, not UMBC was the first 16 seed to win a game or that Serena Williams is the best tennis player of all time. Lord knows I am guilty of that. I’m also guilty of only paying attention to women’s sports coverage when some fool writes the semi-annual dumbass take instead of sharing good stories about female athletes and by female writers throughout the year. That’s something I’ve got to get better at. That, not being the “well, actually” Twitter feminist, is how we improve things. But maybe the biggest problem facing women’s sports and women’s sports coverage is the perception that there’s a problem at all. Women’s sports are always and forever being covered in comparison to men’s sports, as something that needs a breakthrough, rather than something accepted on their own terms for what they are. In another life, my professional world would be blowing up today. 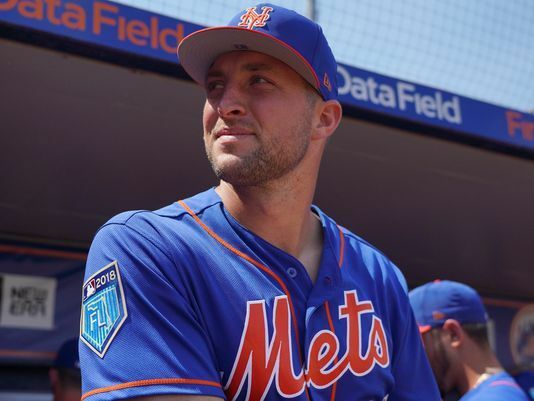 One of my former beats - the pro baseball beat in Binghamton, N.Y. - came into the national spotlight on Monday when the New York Mets announced that Tim Tebow would start this baseball season with the unfortunately named Rumble Ponies. This is the organization I covered from 2006-2009, when I was a sports reporter for the Press & Sun-Bulletin and the team was the Binghamton Mets. And I’ve got to say … I’m a little jealous. I’ll be honest. The thought of covering Tim Tebow sounds like one of the most fun things in sports journalism. For one thing, everything I’ve ever heard about Tebow is that he’s a truly great guy. Nice to the media. Good to be around. A positive person. In a sports world full of jerks, it’s always good to cover a good guy. Plus, everyone’s going to read your stuff. People care about Tim Tebow’s baseball career. Whether they should or not isn’t the point. They do care. Which means they are going to read your work. If I was covering the team, I’d write about Tim Tebow every day. I’d create “The Daily Tebow,” and have a short update on what he did in the game, what was happening around him. But it’s there’s one thing I learned covering that beat was that the majority of my readers were not local residents who came to the games or cared who won or lost. A majority of my readers were die-hard Mets fans from out of town, who cared about Fernando Martinez and Mike Carp and Mike Pelfrey and Daniel Murphy. They were the readers who cared intensely about how individual players were doing. That’s where I focused my blog and my online coverage. That’s not that far off from how you could cover Tim Tebow. He doesn’t have to be the focus of every story, every day. The novelty for the local audience will eventually wear off. But news is what people care about, and people care about Tim Tebow playing baseball. If nothing else, it’s a fun story. And if you can’t have a little fun covering minor-league baseball, you probably should get out of show business. Welcome to research Wednesday, a regular feature in which I look at noteworthy and interesting sports media-related research and scholarship. Today’s Research Wednesday looks at studies from recent issues of Journalism Practice and the Journal of Sports Media. Michael Mirer, a friend and future collaborator of mine, has made these issues the focus of his research agenda. His most recent article uses in-depth interviews to examine how journalists working for team sites covered on-field protests during the fall of 2014. These protests included the St. Louis Rams players who walked onto the field with the “Hands Up Don’t Shoot” pose, Cleveland Browns’ players wearing shirts in support of Tamir Rice and John Crawford, and Reggie Bush and several NBA players wearing “I Can’t Breathe” shirts. The clear difference between the coverage on NFL and NBA sites is interesting and ripe for further study, as is the fact that the stories minimized the controversial aspects of the protest (which would be interesting to look at this past fall’s protests in the same light. Mirer found that the team journalists always defended their decisions as proper journalistic ones made with journalistic considerations in mind. The redefining of journalistic values for use by in-house reporters supports the claim that boundary work is occurring. It suggests that maintaining membership in the professional community comes with status that these workers seek to protect. Using journalistic values to defend those choices serves as a means of asserting authority over sports news and claiming credibility. Yet the reframing of journalistic values and practices may have the effect of neutering journalism’s skeptical stance toward other institutions. In this way, the rise of brand content in sports could have far-reaching consequences for the press. It potentially reshapes the power dynamics between sports teams and the press in ways that could be exported to the political media. How do readers judge female sports reporters? Do readers believe that women can cover a traditionally men’s sport as well as a man? Do readers assume that because a woman is attractive, she is not knowledgeable about sports? These are the big question that Murdick and Lin examine in this fascinating experimental study. They had 328 individuals read mock newspaper stories about either a college football or college volleyball team, written by either a male or female journalist (with a headshot) of either high or low physical attractiveness. The participants then answered a series of scale questions that measured their perceptions of the reporters’ trustworthiness, expertise, and physical attractiveness. In testing several hypotheses, the researchers found: • Readers felt that females were a better fit for covering a female-appropriate sport than a predominantly male one. Likewise, male reporters were viewed as better fits for covering male-appropriate sports. • There was a significant relationship between the journalists’ physical attractiveness and reader loyalty. • There was also an interaction effect between sport type and reporter gender on reader loyalty — but only for male reporters covering a male-appropriate sport. This study is among the first to assess the potential impact of gender and physical attractiveness of print sports reporters and the gender-typed sport that they cover on audience perception of their credibility. … In particular, the current study revealed that females employed in sports media who cover sports that are perceived to be male appropriate are seen as incongruent with the rugged characteristics of those sports. One of the notable findings of the study was that women were not perceived to untrustworthy or lacking in expertise in covering football, which suggests an evolution in audience attitudes toward female sports reporters. However, that is somewhat mitigated by the fact that this study looked at print sports reporters, not broadcast ones. Our findings suggest that physical attractiveness is an important characteristic for print sports reporters in the news platforms online, despite their lack of regular face time on a big television screen. However, as print news has undergone a convergent shift and become part of sports media organizations’ multimedia platform, all newspaper websites now contain news videos. It is not uncommon to see “print” journalists performing video features that are showcased as online content. *The great thing about research is that everyone has a different view on what they read. I’d love to hear what you have to say. Post a comment on Twitter (@bpmoritz) or on Facebook. Why do we have instant replay? It was almost one of the great moments of March Madness this year. On Friday afternoon, Loyola (Chi) began it’s miracle run to the Sweet 16 with a 64-62 victory over Miami. It was a classic March ending, with Miami missing a free throw that could have helped ice the game, Loyola getting the rebound, coming down the court, and Donte Ingram swishing a three-pointer just before the final buzzer. Finally, the final “possession” happened, and Loyola finally won the game it had won a few minutes earlier. So a thrilling buzzer beater, the kind of moment that makes March so wonderfully mad, was neutered by instant replay. Because we had to get the call right. 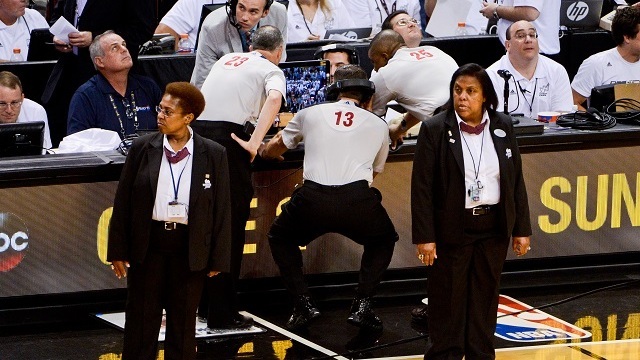 Instant replay reviews became a bit of a talking point over the first weekend of the NCAA men's tournament. The final minute of the Witchita State-Marshall game was took 18 minutes of real time to play because of a series of replay reviews. From a fan perspective, instant replay has become maddening. Joe Posnanski has written about this for years, about how when a scoring play happens, we all get excited - but only halfway, because we have to make sure the review confirms the play, and then we can celebrate, but by that point, the moment has passed. It’s kind of like the end of the Loyola-Miami game. The excitement of the victory got tempered. Instead of the dramatic moment and the buzzer-beater, we had a long replay review (plus timeouts) and a weird throw-in play to end it. Was it the right thing to do? But it sure wasn’t a fun way to end the game. Take a second and ask yourself that. Why do we have replay in sports? Why is it there? Is it to correct mistakes? Or is it to get the calls right? Those sound like the same thing, but they’re not. I have no data to back this up (which is always a bad sign for an argument, I know), but my hunch is that most people would say that we have replay to get the calls right, but what they really mean is to correct the egregious mistakes. The Larry Dierker/James Joyce-level mistakes. The calls that are clearly wrong that we can see on replay and easily fix. That’s not how replay is used. Replay is used to judge everything down to the micrometer. It’s led to the NFL’s catch rule controversy, the toe-drag offsides calls in the NHL, the plays at second base when a sliding runner’s hand pops off the bag by a millimeter for a split second. Technically, all of those calls are now correct. But is that the spirit of the game? Is getting these calls right worth sucking so much energy and excitement and fun out of our games? Thing is, there’s no going back to a time before replay. There’s no way. With the improvements in media technology, there’s no way we can rely on human beings making judgement calls in real time. There’s no way a home audience should have a better view of the game than the officials. But maybe there’s a way we can speed up the review process. Maybe technology can be the answer, with more automated calls and measurements and timing systems. Maybe, we can still get the calls right without sucking the fun out of sports.